recommended for: Fans of Dead Girls Don't Lie by Jennifer Shaw Wolf, What We Saw by Aaron Hartzler, and other devious mysteries. This is a solid read that's been undeservedly overlooked. If you're craving a young adult thriller, dive right in. 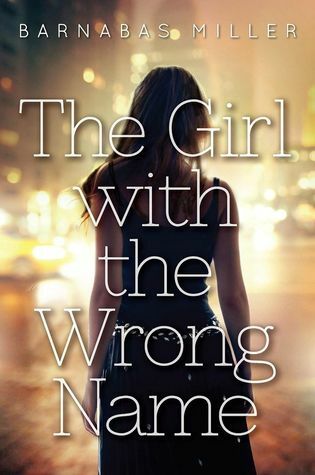 The Girl with the Wrong Name is a fast-moving, tightly plotted mystery that delivers plenty of chills and a shocking ending. From the start, it's clear that Theo is a little addled from whatever happened to her on "the night in question." Somehow, that night, she received a scar--and a fervent desire to get outside of her own head. A desire that leads her to a cafe and to Andy, an aimless boy waiting for a girl with whom he spent a dazzling, adventurous night. A girl who was supposed to meet him days ago. The mystery is a perfect mystery for Theo to pursue--one that, unlike her night, seems solvable. 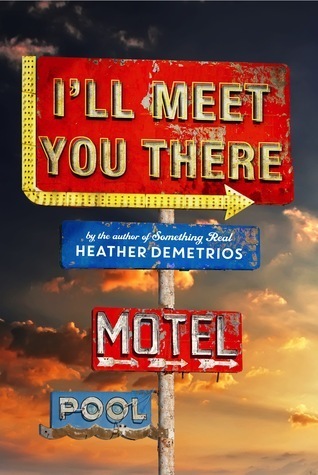 Theo is quirky (sometimes too much so) and intriguing, just snarky and unreliable enough to make for a great narrator. She's got a photographic memory for wedding announcements and she tends to script her life in her own head, while it's happening. She's also obsessive, a quality which outpaces her reason on numerous occasions and moves the plot forward in surprising ways. I wanted to know more about her as much as about the mystery with Andy, because it's clear there's a lot bubbling beneath her surface. Andy, too, is a puzzle--lost, lonely, obsessed with a girl he met only once. The story is a little incredible in the most literal sense, so I couldn't buy all of it--but most of it is still plausible enough to chill and mystify. As Theo and Andy discover more about the mystery girl, the world seems to turn cartwheels around them. How is the girl connected to a bride Theo read about in the paper? Why does the girl seem to recognize Theo? Why are Andy's memories of the night he spent with the girl so fuzzy and confused? The deeper Theo digs, the more the mystery becomes her singular purpose, until a streak of antidepressants and sleepless nights explodes into a truth so wild and shocking, you'd never realize it was based on a true story. Sleuth that I am, I didn't even guess the whole of it. What makes the novel especially satisfying is the way Theo narrates. Her voice is raw, a little too clever sometimes, gritty and irreverent and believably teenaged. Her narrative is punctuated by recording and stop buttons, showing where Theo's filming starts and stops, how it frames her whole world. As the plot thickens, Theo's narrative becomes frenetic, almost hallucinatory, and spins an atmosphere of dissolution that leaves you bristling with a sense of the uncanny. It's a book that requires some suspension of disbelief, but one that startles--and lingers. The Girl with the Wrong Name is a frenetic mystery that mystifies, deceives, and delivers a satisfying, shocking reveal. Your review system is honestly so cool, CJ! It's great that you have a hated-to-loved system, and then an out of all the books I've ever read system - because I have some 5 star reads, but they still come as 8/10 on all the books I've ever read, for example!